Today we are talking all things sleep- in children that is. I don't know about you guys but in our house everyone is happier when everyone is sleeping well. 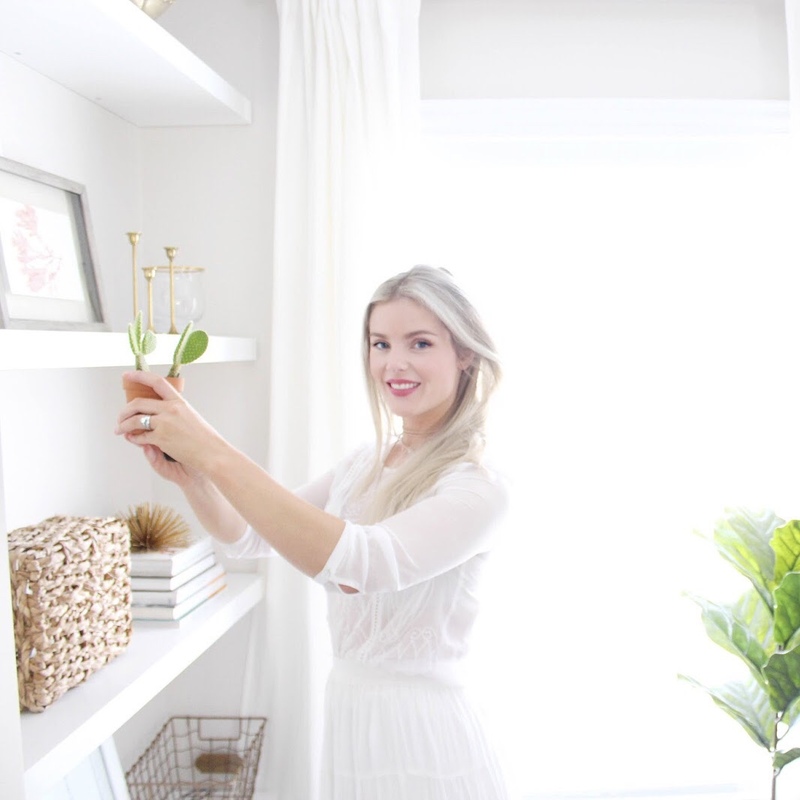 Often as parents we are so tired all the time from our responsibilities and running a home that we can get focused on how sleep deprived we are. However sleep is just as important for our children, after all, their little bodies are doing so much growing and developing along with their brain so a good night's sleep couldn't be more important. 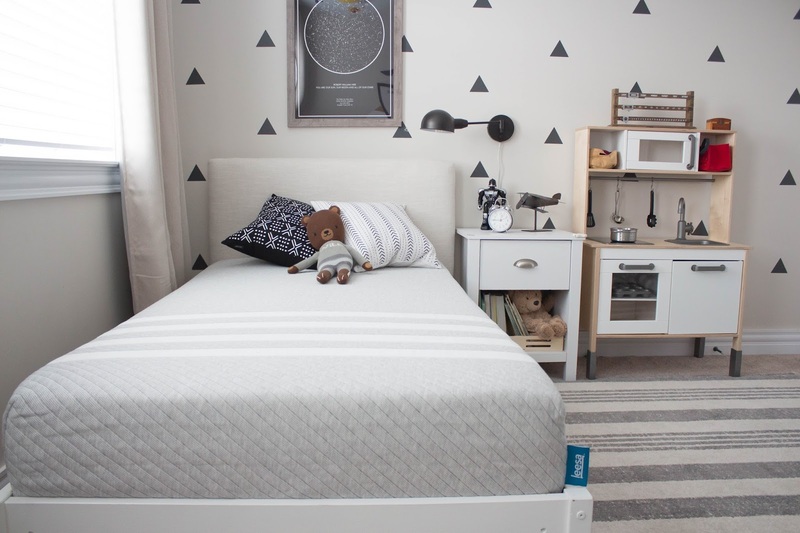 Ok, so you know that last year we teamed up with Leesa Mattress for a mattress for our bed and it has seriously been so amazing, we still love it and you can check out that post here if your interested! So you can imagine my excitement when we partnered up again for 2 twin mattresses for the boys. One of my favourite things about the Leesa (aside from the fact that it is incredibly comfortable and feels like its cradling your every move) is that it has the most beautiful, soft cover on it so that laundry day always looks good. Those grey and white stripes look so pretty I always hate putting the sheets back on. 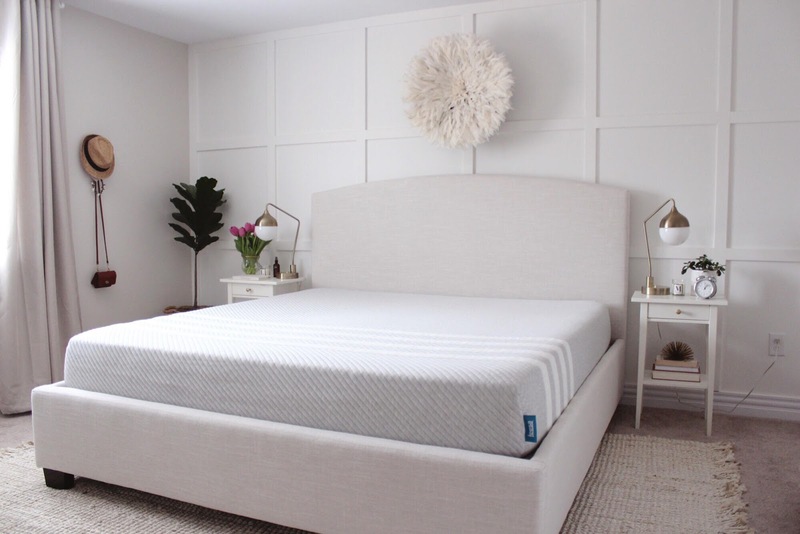 Another amazing thing about the Leesa mattress is that you order it online and it is delivered right to your front door in a box. Yes, you read that right- a box. Their mattresses come vacuum sealed and I have to say it is so cool when you unroll it and cut the wrapping off to watch your mattress literally expand to full size right before your eyes. The boys absolutely loved this part! Not to mention it makes getting your mattress into your room a breeze which is important to us since we have a tall staircase. The boys got their new mattresses about a month ago and have been sleeping amazing on them. 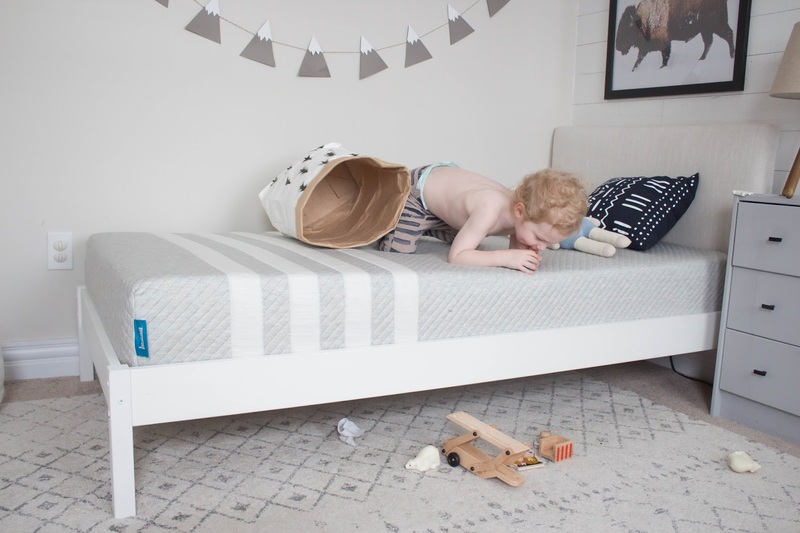 I have specifically noticed a difference in my youngest son who is 2 and was actually sleeping on a temporary mattress that wasn't the best quality. Since we put his Leesa on his bed he has been sleeping in an extra 45 minutes in the morning which can I just get an AMEN. I would have taken an extra 10 minutes so needless to say I know he is sleeping much better on his new, supportive mattress. 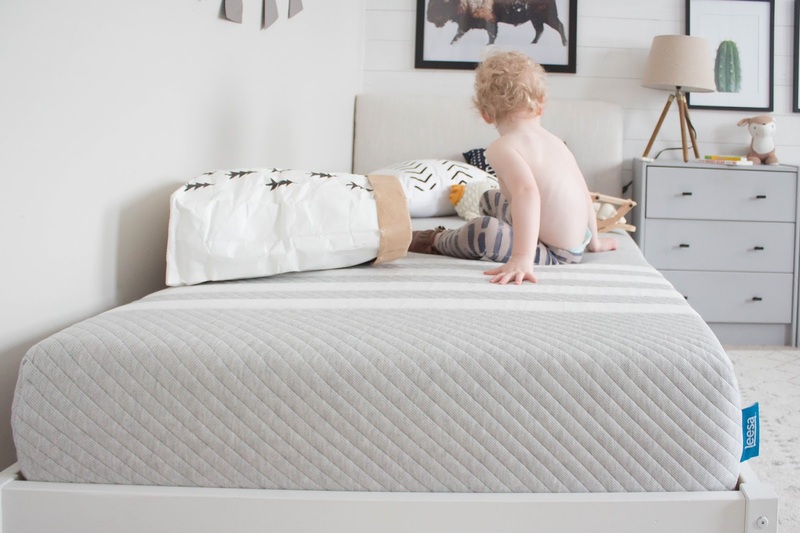 As a mom it makes be feel really good knowing that both of my boys are resting on such a good quality and supportive mattress as they continue to grow and develop. If you have been thinking about ordering one please know that I never endorse a product that I don't truly love and use and we really do love our Leesa mattresses here in the Hire house! 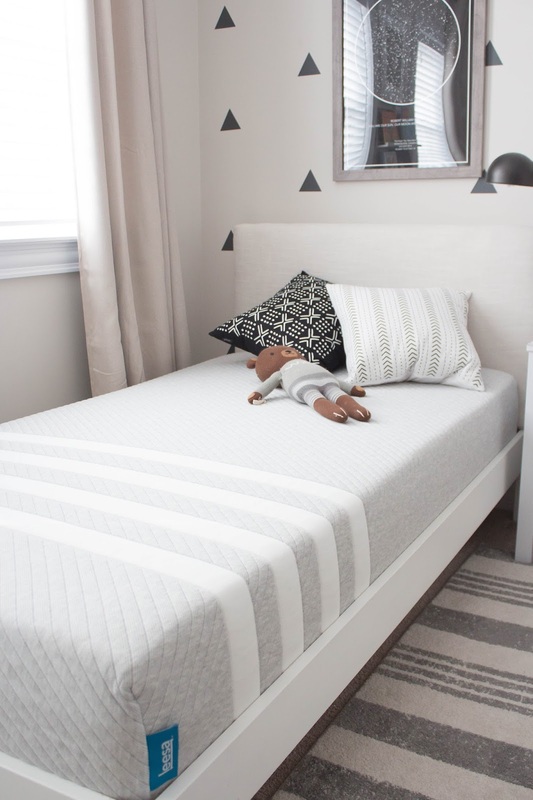 For $130cad off your mattress use code "HOUSEOFHIRE" on Leesa Canada!! 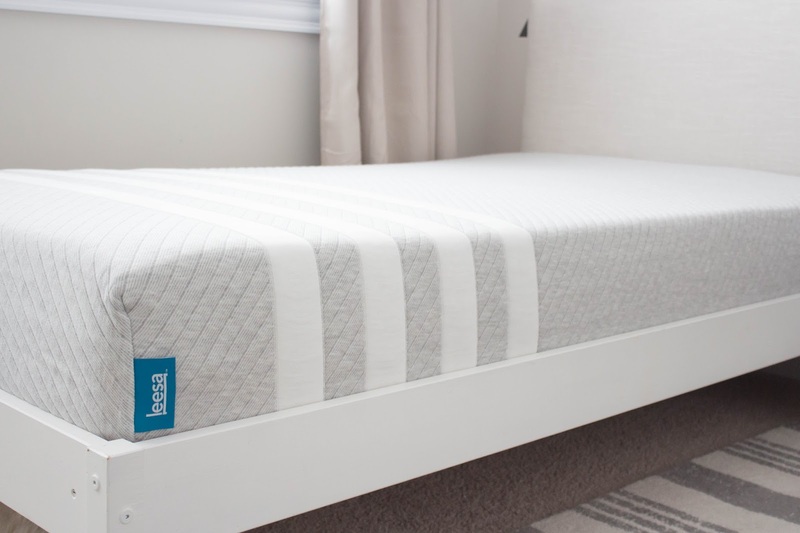 For $100usd off your mattress use code "HOUSEOFHIRE" on Leesa US!! Disclosure: Leesa® provided a free product for us to review. However all opinions stated here are my own. 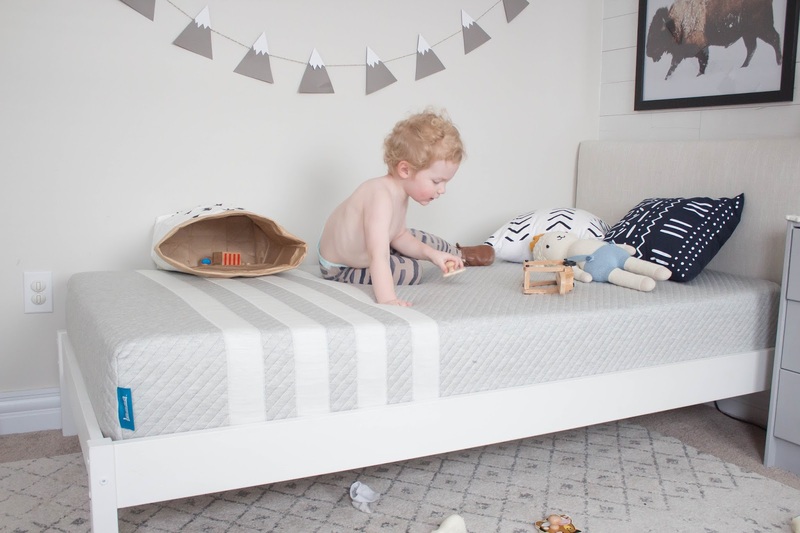 No kiddos in the house but we've been toying with the idea of upgrading our mattress...for all the sleep!